Real Alternative Site - How can I fight plastic pollution? How can I fight plastic pollution? Most plastic pollution at sea starts out on land as litter on beaches, streets and sidewalks. This pollution can often be prevented from entering our ocean. 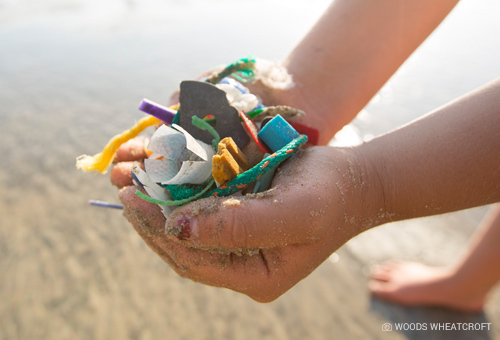 Show us what you're doing to reduce your plastic footprint by using the #OceanFriendly hashtag! Here are some simple individual actions which you can take to solve this global issue. Opt for cloth bags and metal or glass reusable bottles instead of plastic shopping bags and bottled water. Say no to excess packaging, straws and other 'disposable' plastics. Instead, carry reusable utensils in your purse, backpack or car to use at BBQs, potlucks or take-out restaurants. Everyday plastics such as sandwich bags, plastic wrap and juice cartons can be easily replaced by a reusable lunch bag or box, reusable wrap and a thermos. If you must use plastic, try to choose #1 (PETE) or #2 (HDPE), which are the most commonly recycled plastics. Avoid plastic bags and polystyrene foam as both are rarely recycled.